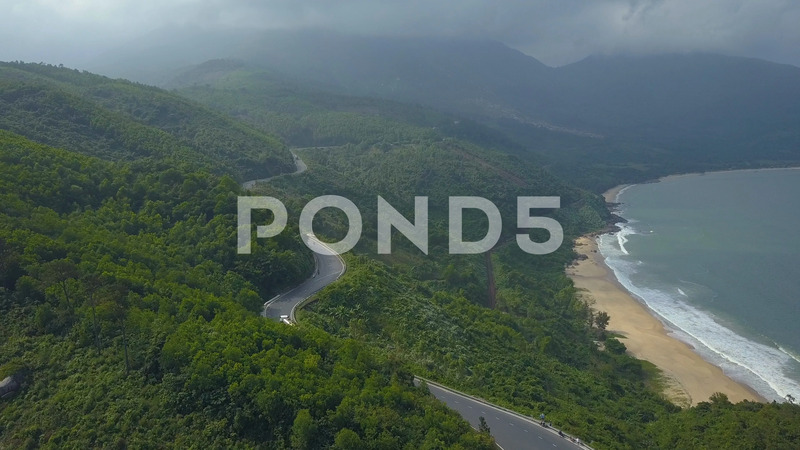 Aerial: Flying Along A Scenic Asphalt Road Running Through The Exotic Forest. Description: AERIAL: Flying along a scenic asphalt road running through the exotic forest covering the remote island. Picturesque view of the sandy beach and tropical woods. Traffic crossing the Hai Van pass.